This is now – it is still there! In fact during the exhibition in Reading several people were drawn to take photographs of it for my Postcards of Reading 2015 archive project. To showcase these images I have started a tumblr. From today, each day I will post a new photograph taken in Newtown, between 25th July 2015 and the end of this year. 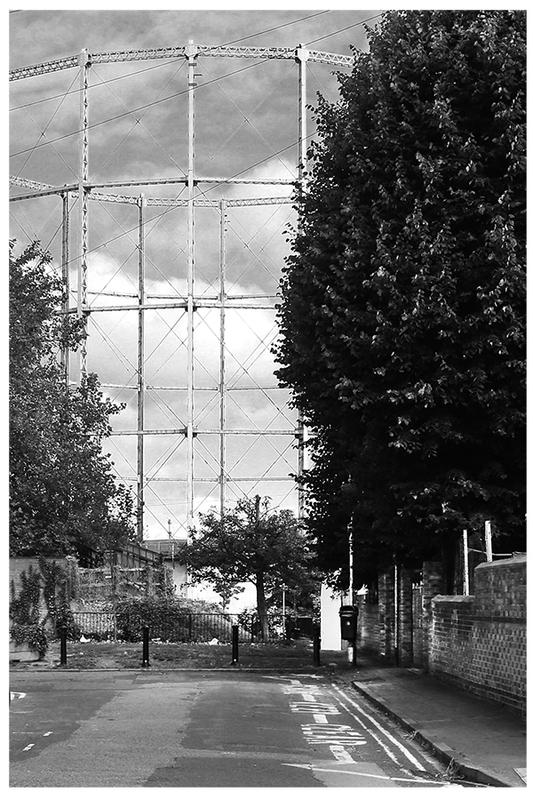 I’m going to start with photographs of the gas tower.